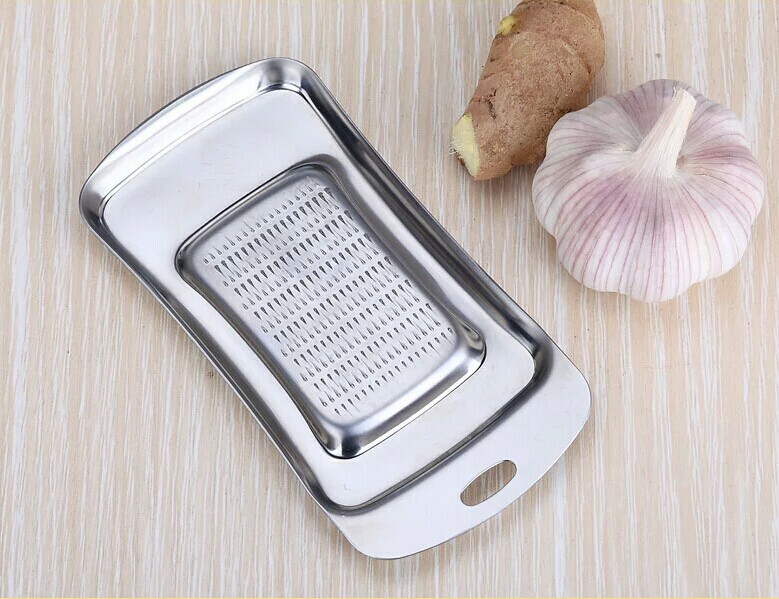 I just got this great high quality garlic & ginger grater/press from Ecaloo. It’s made of stainless steel and is really well made and sturdy. It’s not going to fall apart of break on you. I love that it’s flat and you can get a good handle on it by laying it down flat and hold it firm with your hand. Just grate garlic or ginger along the rough panel grater and it will begin to fill up the ridges around the outside of the grater panel. Once you have enough you can pour it into the food directly. I use this all the time. I love that you can easily see how much you have grated. The grater works really well and is really sharp even on ginger. I use mine all the time and I love it. Made of polished stainless steel ,durable and exquisite. Small teeth design, convenient to use.